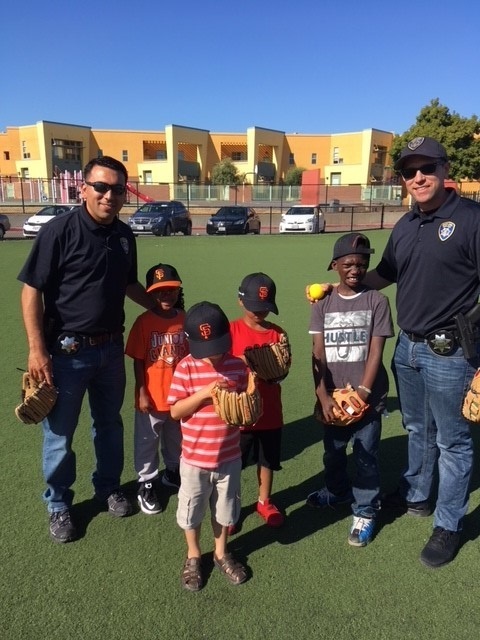 OPD Community Resource Officers Millan-Estrada and Cach volunteered their time and expertise to coach baseball for some of the Oakland youth via the Jr. Giants Program, which is coordinated through OPD's Youth Outreach Unit (Y.O.U.). OPD shared the story online via social media platform NextDoor. NextDoor recognized the great work of officers Estrada and Cach and honored them at the recent Mayor’s Summit at their San Francisco headquarters.